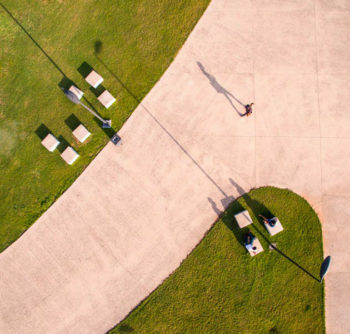 planning, urban design and architecture in a purposeful, people-centred approach to place-making. Founded in 1996, Iyer has a diverse range of specialisations, but a single-minded philosophy. 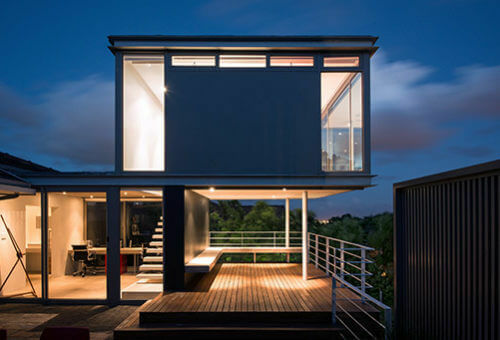 The firm has offices in Durban and Johannesburg, and has been the driving force behind the built environment and planning for a number of iconic projects. 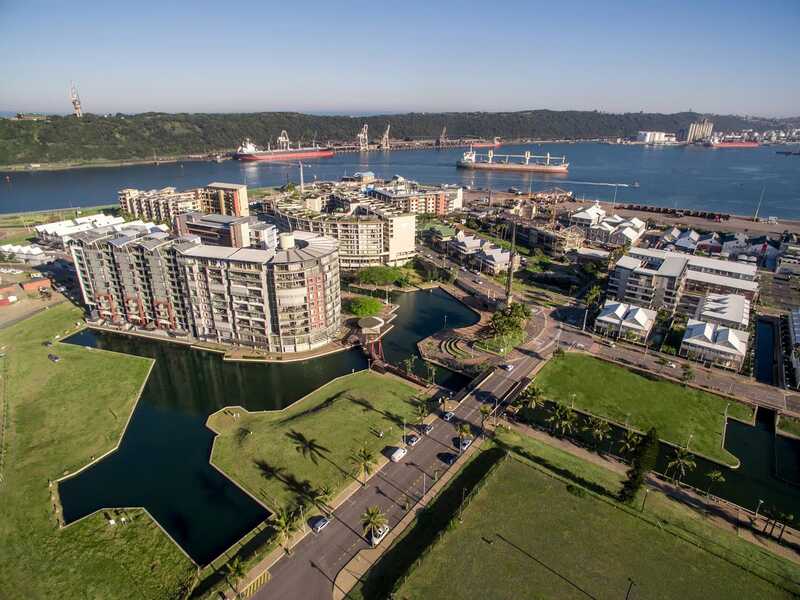 These include the Point Waterfront Development, Moses Mabhida Stadium Precinct, Cornubia, Sibaya Coastal Precinct and GO!Durban Stations. 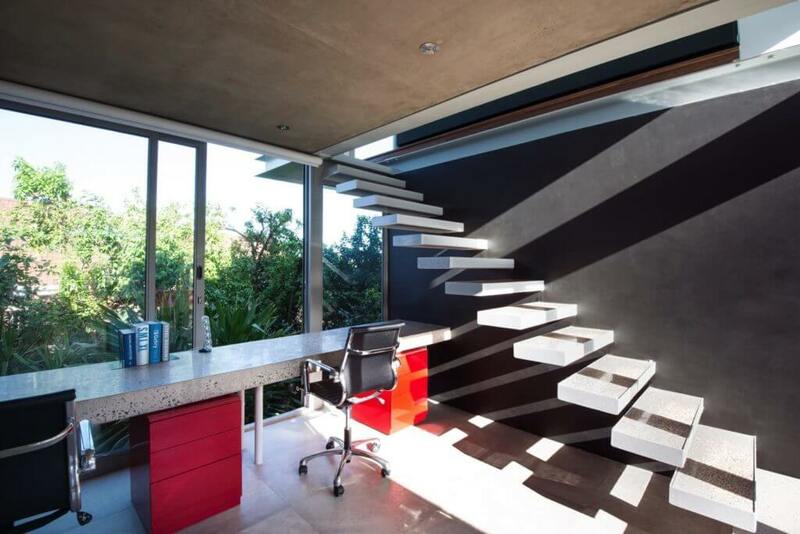 Iyer designs spaces by considering how they should be experienced as much as how they should look. This means the firm’s process is based on four key beliefs. 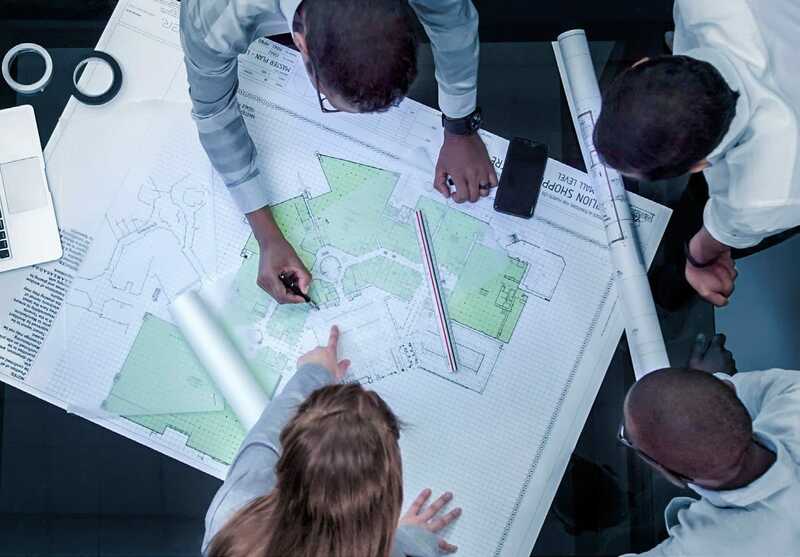 Iyer starts every project by listening to the people who will live, work and interact in the space every day so they can shape built environments around their needs. A brief is only the starting point. With a range of complementary professions and a fresh approach to every project, Iyer challenges expectations to create exceptional spaces. Place-making is a process-driven field, but at Iyer this is always balanced with creativity and inspiration. It’s by being open to possibility that the firm can continually explore new and better ways to do things. At Iyer, architecture is considered as a vital contributor to a street, square, centre, precinct and city. 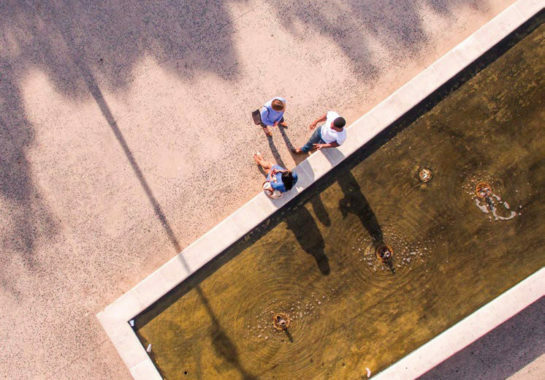 Working in an interdisciplinary manner incorporating urban design and landscape architecture, the firm creates buildings that respond to social context, bring dignity to people and serve both today’s users and those yet to come. Urban design and architecture should open possibilities for people and Iyer approaches all of its work with this intention. 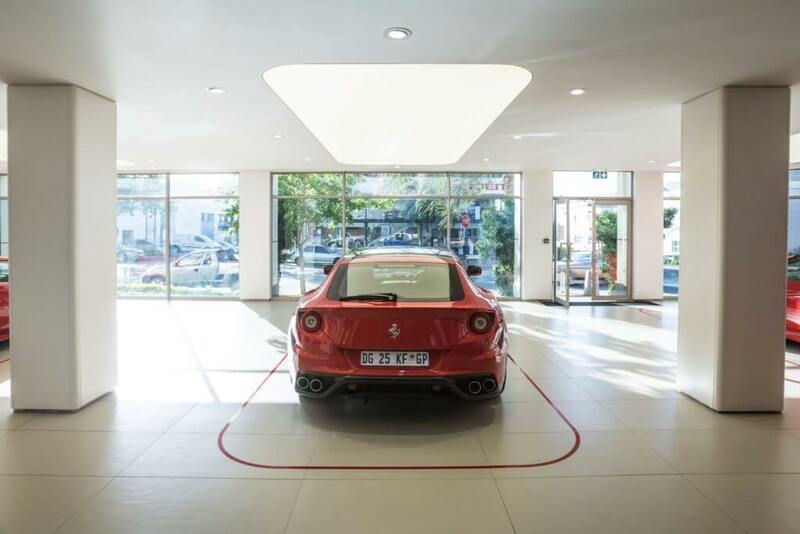 It’s about more than just balancing form and function. It’s about combining them seamlessly, and with purpose. IYER is led by two partners : Nathan Iyer is the Founder Chief Creative Director and Kamalen Gounden who is Director of Planning. Glanville Jacques is Director of Architecture and Tahira Toffa is an Associate Director responsible for the Johannesburg Studion. 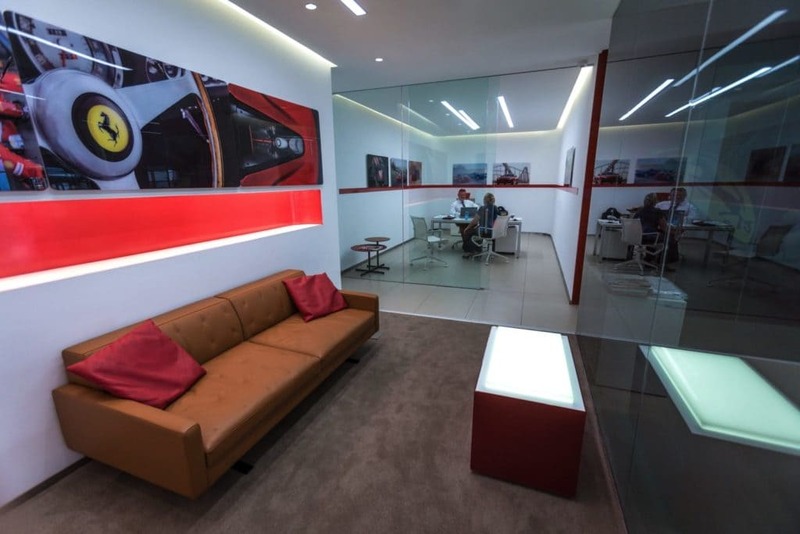 These experienced individuals are the firm’s leaders in their focus areas, complemented by 30-strong studio of practitioners with a range of skills. 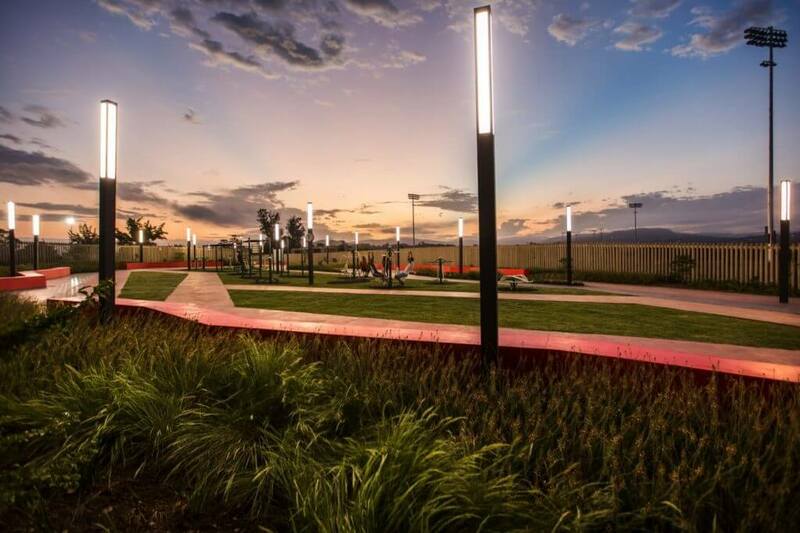 The team includes architects, urban designers, planners, landscape architects and other, related professionals. 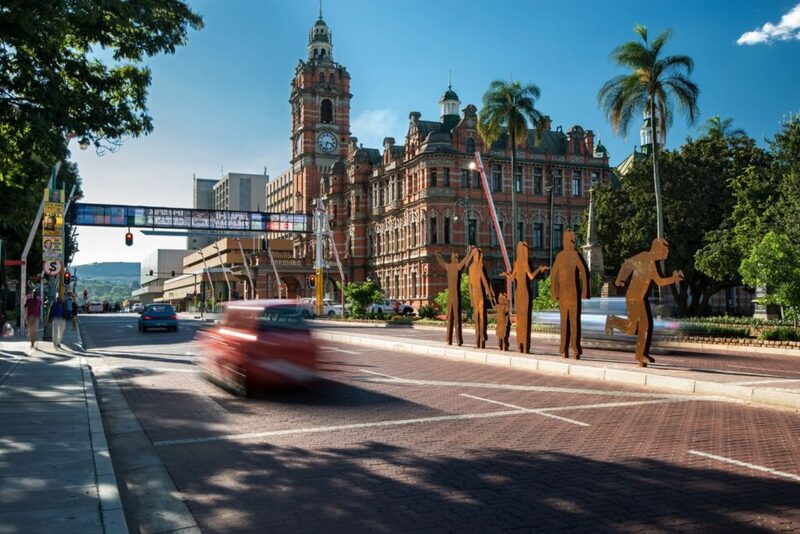 Nathan has practised since 1996 and in this time has led several large-scale urban design projects, such as the Point Waterfront, Bridge City Town Centre, Cornubia and Sibaya. 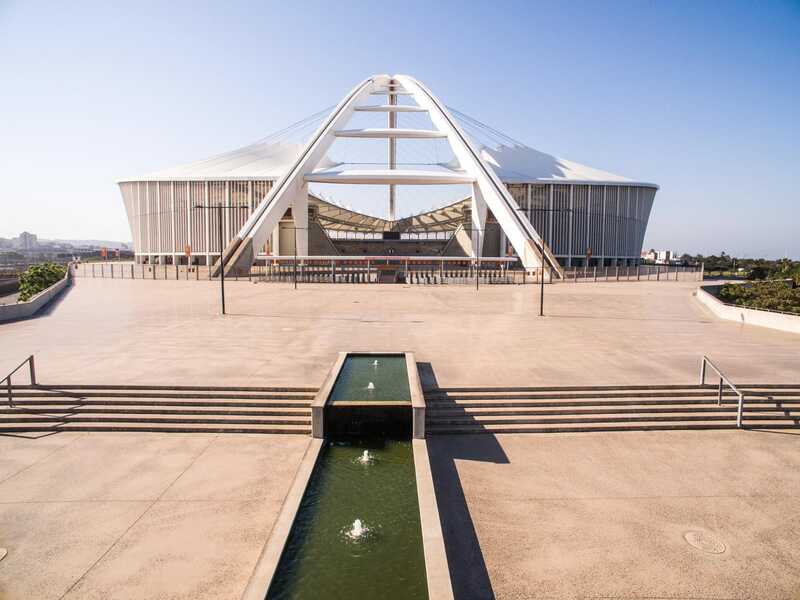 He was the lead Urban Designer for the Moses Mabhida Stadium, for which the practice received the President’s Award for design excellence from the Institute of Landscape Architects of South Africa. He is the also lead Urban Designer for two Smart Cities in Mauritius and was the lead concept designer for the GO!Durban BRT Stations. Outside of his role in the practice, Nathan has chaired and served on several Design Review panels in his career and is a past Planning and Development Commissioner for the Province of KwaZulu-Natal. He has lectured at the Masters level for Town Planning at UKZN, and served as external examiner for several universities. As a widely recognised thought leader in the fields of planning and urban design, Nathan has also presented at various academic events, seminars and conferences, including the American Planning Association in Washington. Kamalen Gounden is an Urban and Regional Planner with over eighteen years’ experience, both in the private and public sectors. 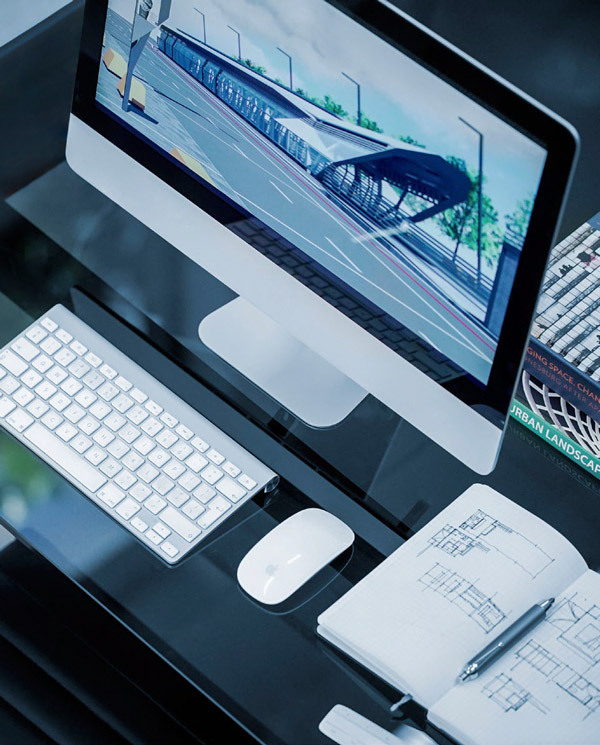 This includes extensive experience in managing large, integrated planning projects with the firm. 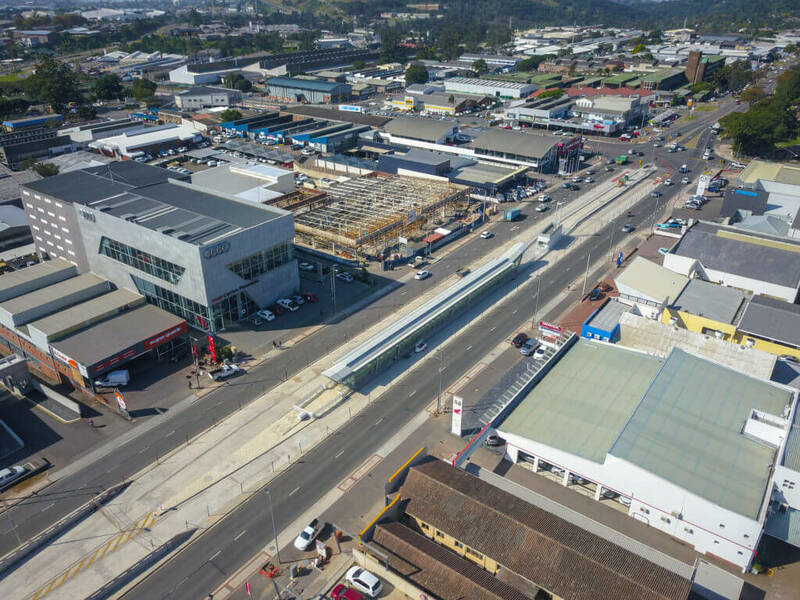 His work at Iyer includes involvement in the Point Waterfront development, Bridge City Town Centre, Msunduzi IRPTN and international projects in Mauritius. 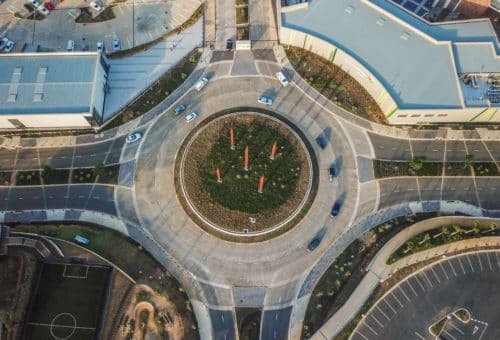 His core focus is strategic and spatial planning across all levels and contexts, and in the past few years has been extensively involved in urban design, design coding and street enhancement projects. 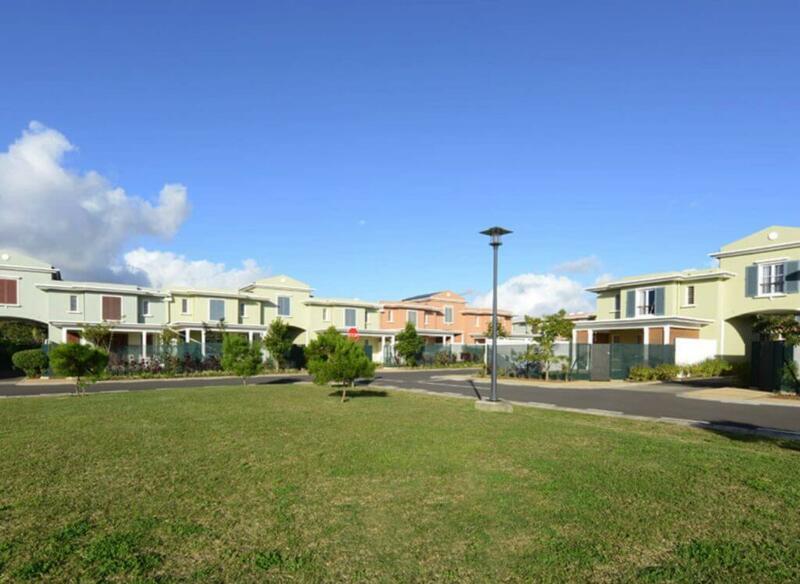 These include housing projects as well as the planning and development statutory processes. To support Iyer’s intentional approach, the culture at the firm is collaborative, open and focussed on learning and reflection. 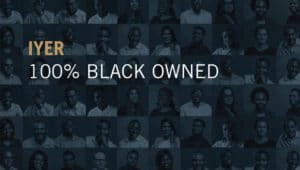 This ensures that all of its work is considered, inclusive and always people-focused. 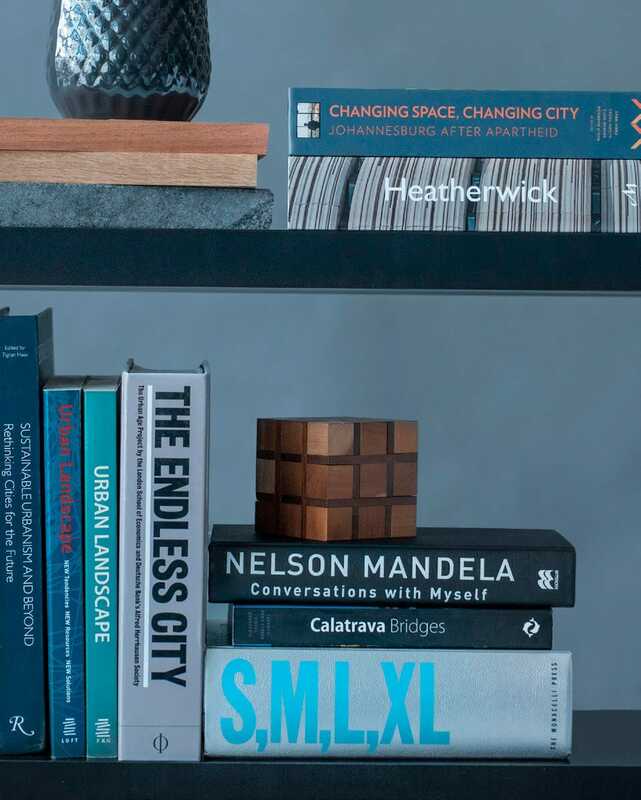 The team at Iyer believes that good design can make a positive change in the world, and sees urban design and architecture as much as a movement for social change as it is the creation of a built form. It’s about approaching design at the intersection of people, built form and place, and ensuring that every project speaks to all three. 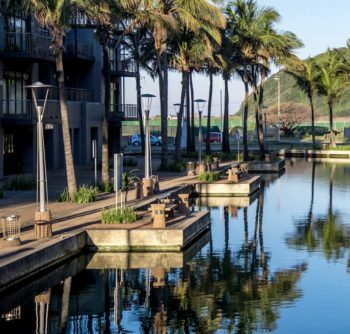 Iyer was tasked with developing the master-plan and architectural guidelines for one of the largest mixed-use developments in the country, Sibaya Coastal Precinct. In doing this, the firm developed a vision for not only what this place would look like, but how life would be experienced there too. 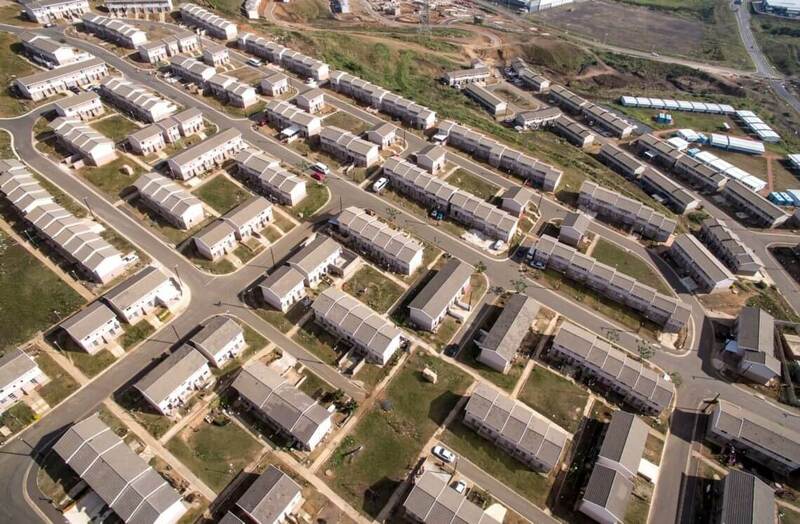 The Sibaya Precinct, located on the KwaZulu-Natal North Coast spans some 1,000ha of formerly agricultural land. 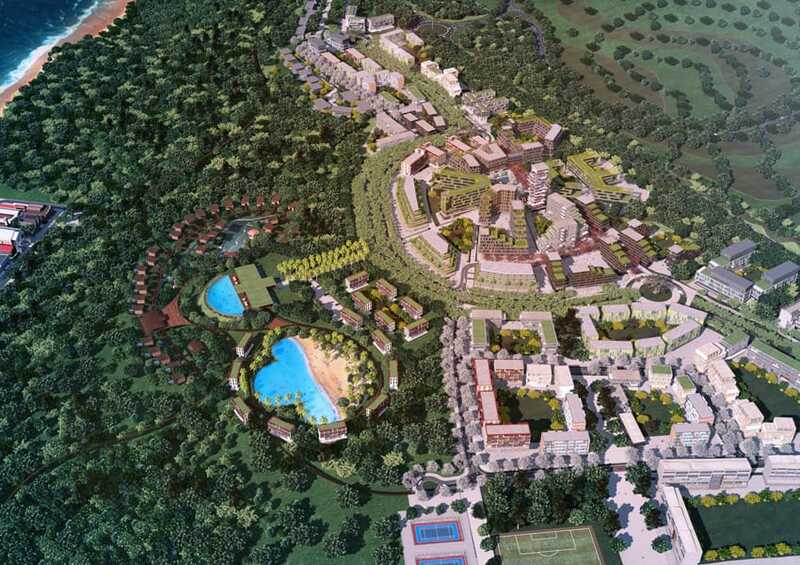 The developers tasked Iyer to come up with a master-plan and architectural vision for this unique site, encompassing residential, commercial and leisure offerings. 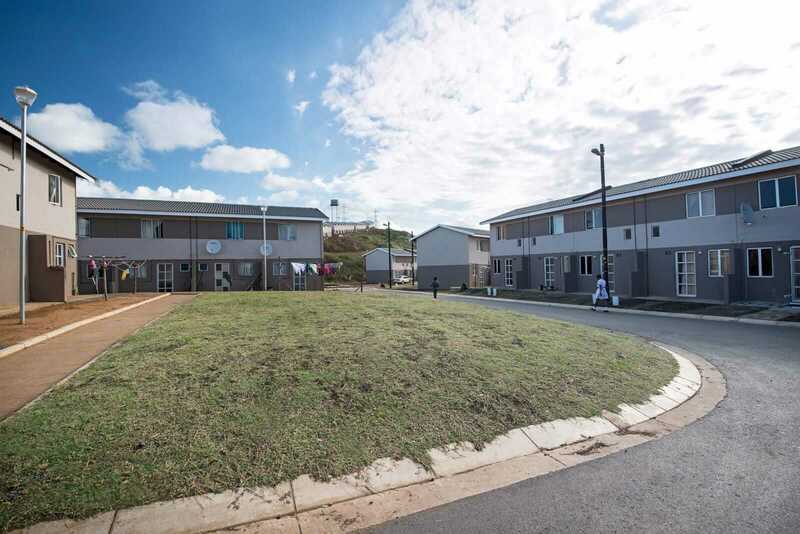 Key to this end product however, was understanding the lifestyle that could be created in the Precinct. By starting with finding the linkages between home, public life and the natural world, Iyer could ensure that this would not be simply another development, but a concept that did justice to its surroundings. In developing the architectural code, the firm chose to work with the landscape rather than imposing built forms upon it. Instead of dictating specific styles or aesthetics, Iyer developed a vision for Sibaya where the hilltops were developed but the valleys and coastal forest were left in their natural state. 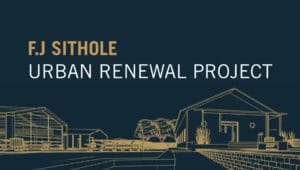 By preserving over half of the green space and ensuring that the built form blended seamlessly with it, the overall experience of unique landscape at Sibaya could be enhanced in a sensitive, sustainable way. 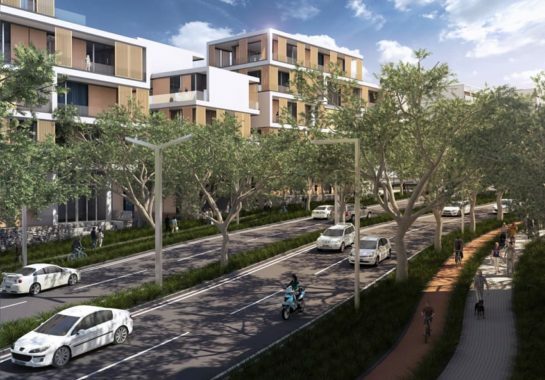 At the outset of the project, Iyer facilitated a design charrette with the landowners and a team of designers and environmentalists, a process that led to the formulation of a development vision for Sibaya. 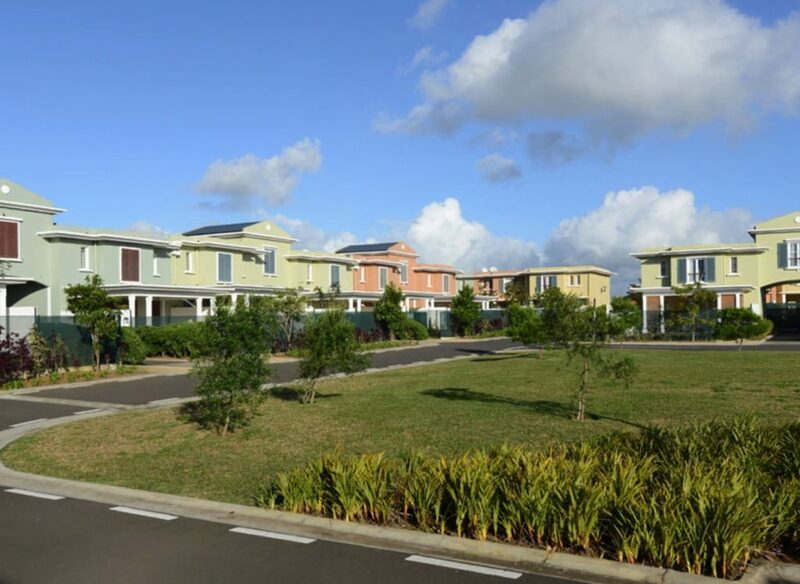 Following this process, Iyer were retained as Lead Designers in preparing the Urban Design Framework for the project, as well as a detailed Urban Design Layout for the first phase of development. As part of designing a town, a range of users and activities that support life within it have to be considered. For Iyer, Cornubia is really about design that considers all of the facets of life and lays the foundations for a future city. 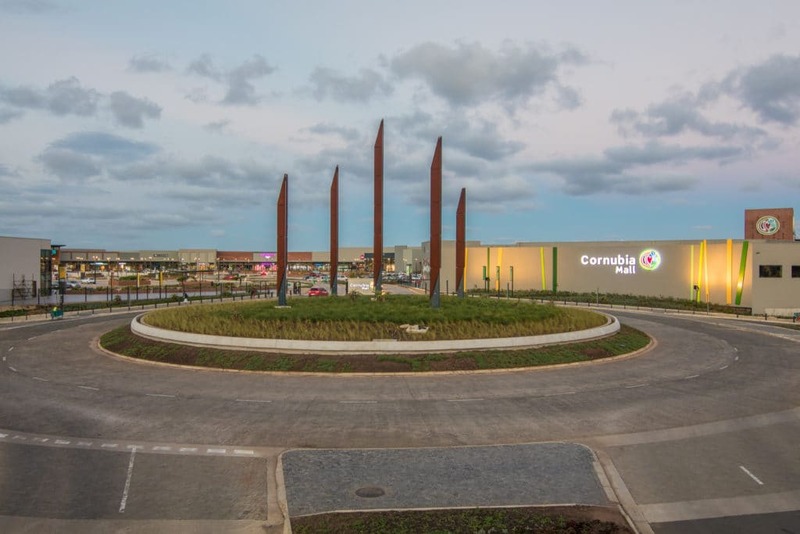 Cornubia sets out to restructure the city by providing an almost completely new town that sits in a space that was previously held as a buffer strip that separated communities. Iyer challenged the initial brief by designing the urban space on the basis of sustainability and understanding public transport as a fundamental component of it. 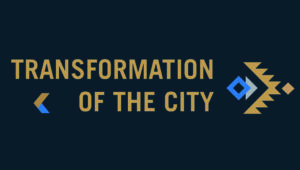 So as opposed to the previous city of separation, Cornubia is a demonstration of the connected, sustainable city of the future. 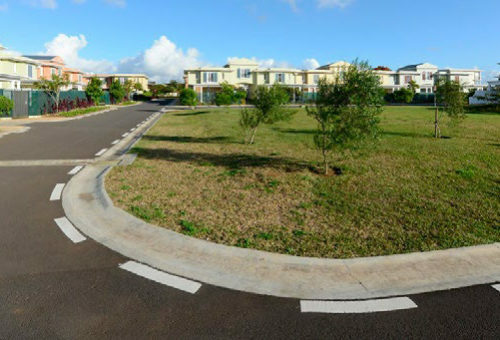 The inspiration for the residential component of Cornubia was to create people-centred places. 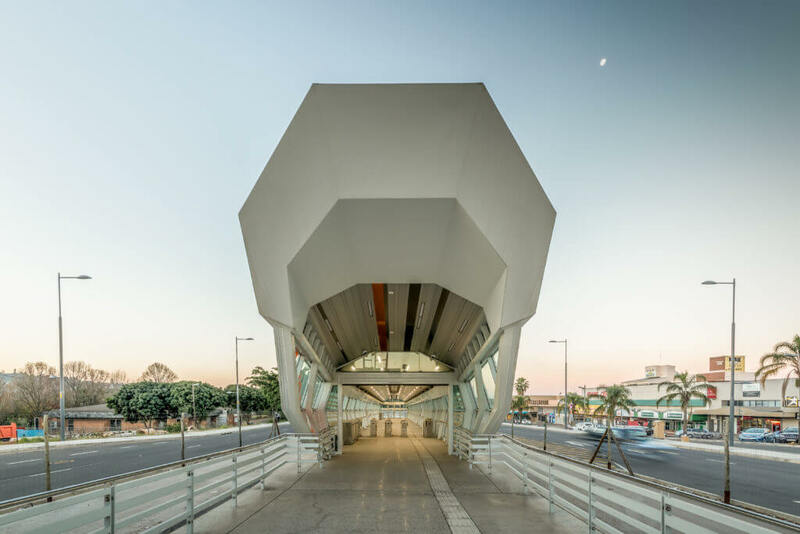 A significant part of this was in bringing public space into part of the basic infrastructure of the city and understanding its vital role in shaping community. Cornubia is a long-term project, but when it is complete what will set it apart is that it will be a well-considered, total living environment. 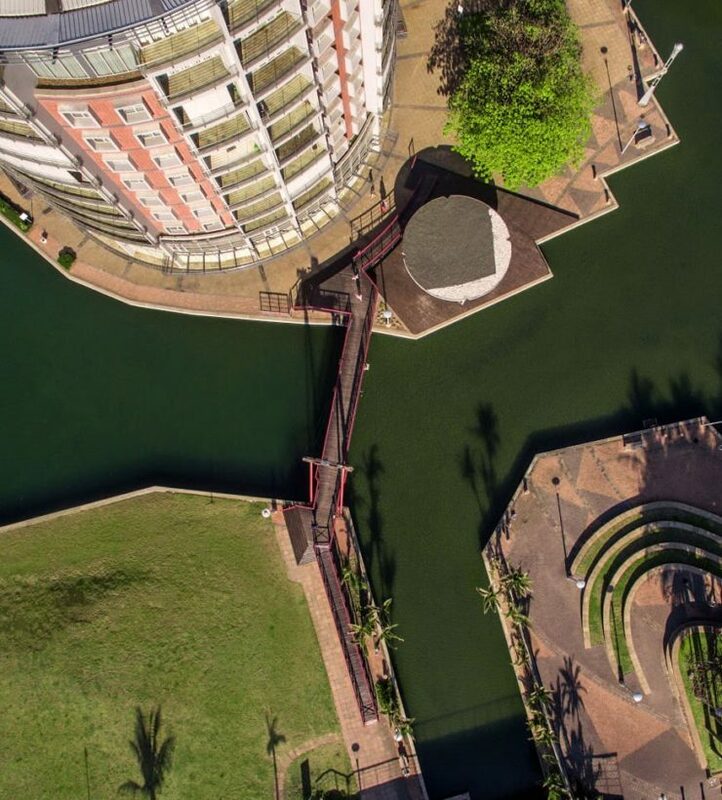 It addresses human existence in a city from various levels, incorporates green spaces as part of the urban fabric and creates a sense of community through a celebration of the public realm. 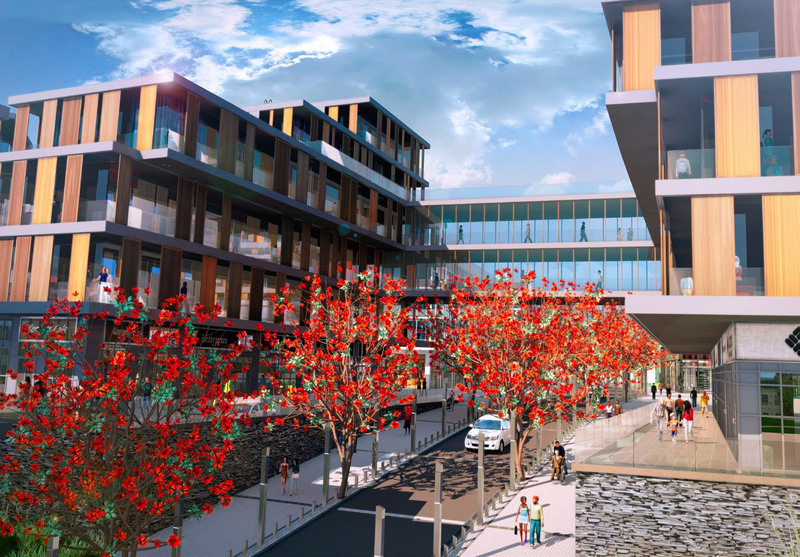 Iyer was commissioned as the Lead Urban Design firm on the project, working with a multidisciplinary team in developing the Urban Design Framework for the precinct. 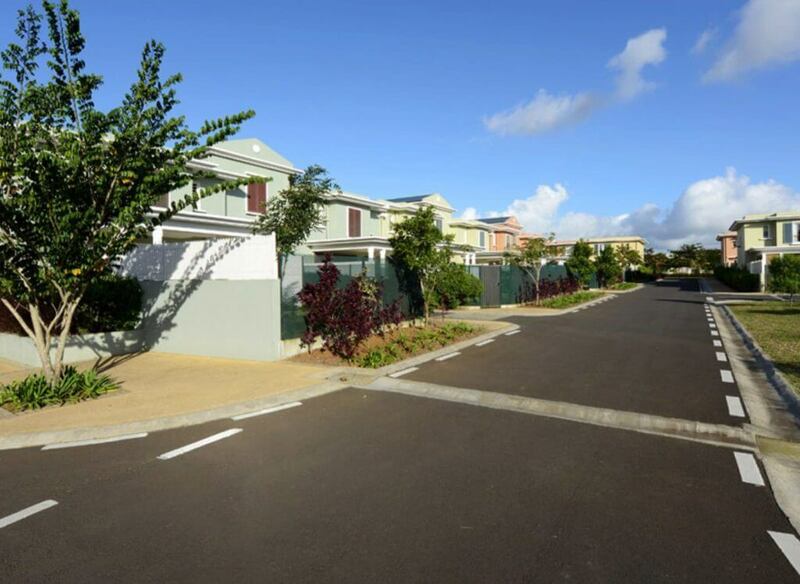 The project area measures 55ha in extent and accommodates 550,000m2 of development bulk.Iyer was appointed to undertake an urban design and town planning layout on a greenfield site within the Cornubia Development for affordable housing. The development yielded 2586 units in total. Urban decay is part of the life cycle of a city. 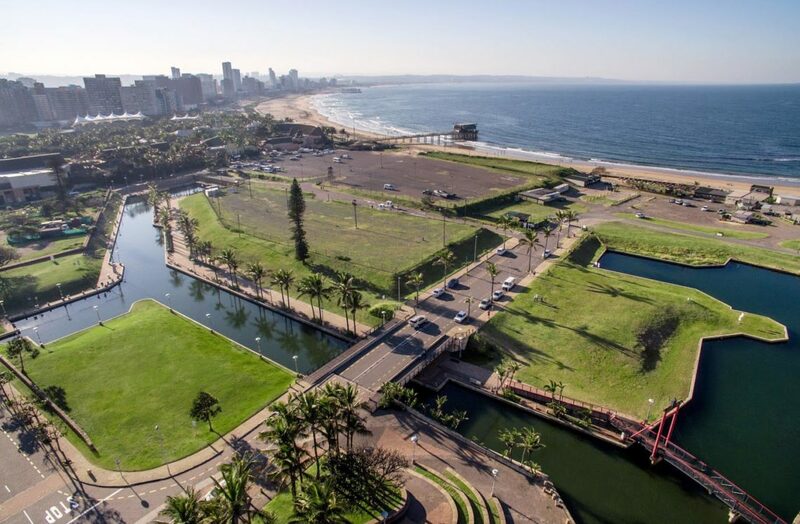 By repurposing neglected space extending the experience of the urban space, the Point Waterfront Development unlocked and rejuvenated a historic part of Durban for all of its residents. 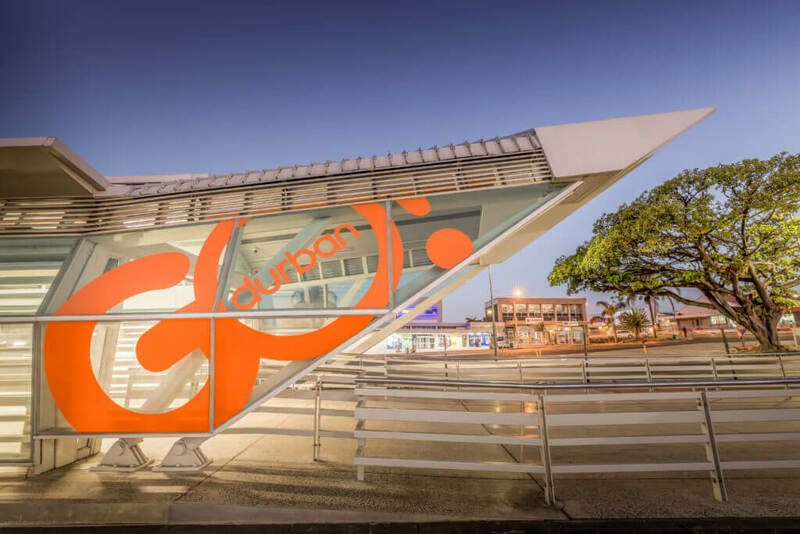 The Point represents an important project for city of Durban. It is a precinct that has been neglected for many years and in this project, Iyer was tasked with an urban design vision and framework to rejuvenate the area. The key inspiration for the design was the way in which buildings engage with water here. 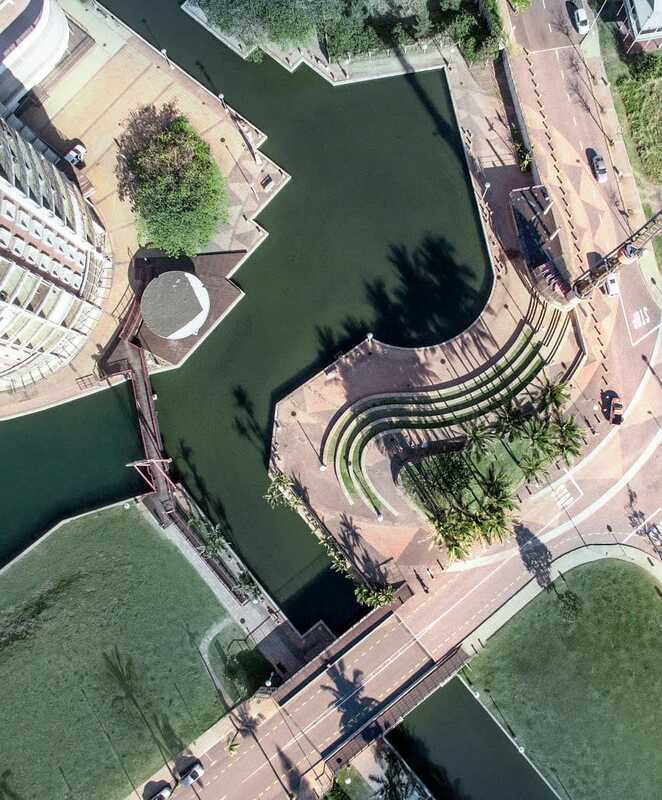 So the concept was built around interfaces and edges, with the introduction of a central canal into the precinct to extend qualities of water within it. It was a strategic move in unlocking the zone and playing to the historic characteristics of place that define the area. 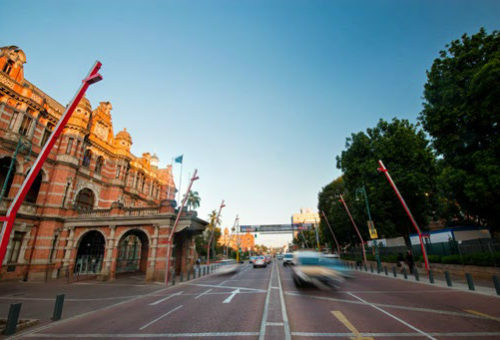 Revitalising the precinct was only part of the job of work for Iyer. Key to the success of the concept was the way in which it integrates into the rest of the city. Linkages to the city as a whole were key, including the vision to ultimately extend the promenade from the Point to the Golden Mile to the rest of the city. 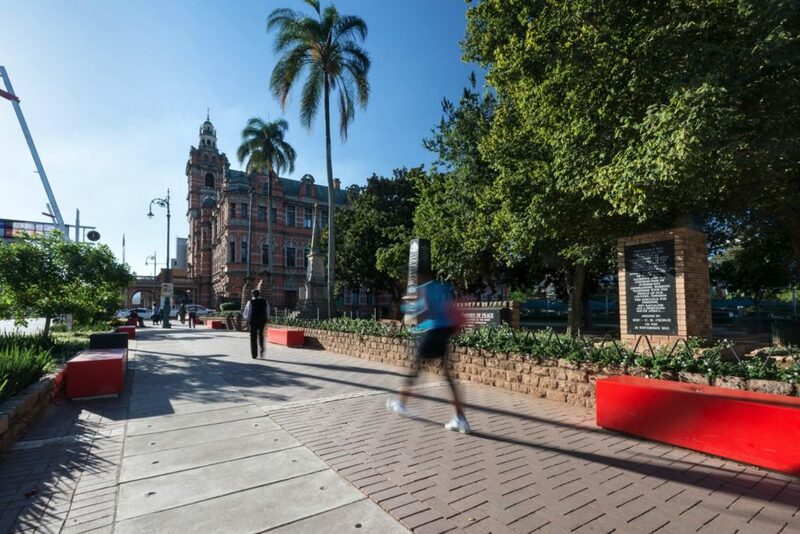 It was part of a conscious effort to ensure the point became an extension of the recreation spaces Durban is known for and a way to extend the uniquely urban African fabric of the city into the space to enliven the zone. 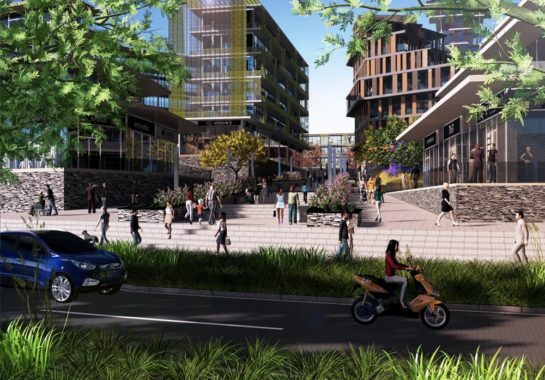 Iyer was commissioned as the Lead Urban Design firm on the project, working with a multidisciplinary team in developing the Urban Design Framework for the precinct. 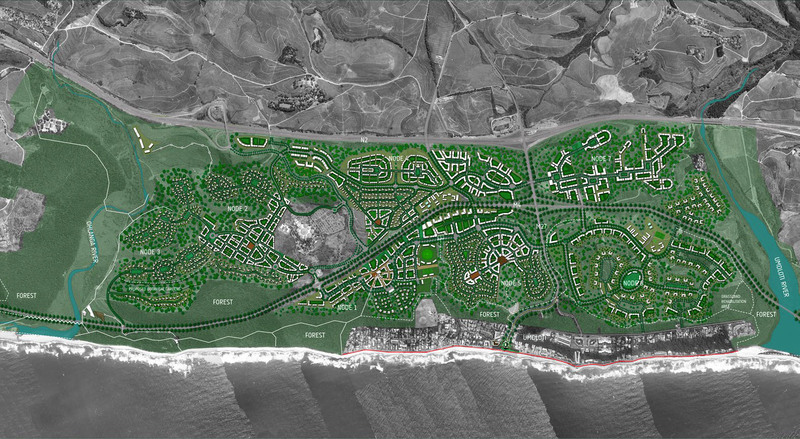 The project area measures 55ha in extent and accommodates 550,000m2 of development bulk. 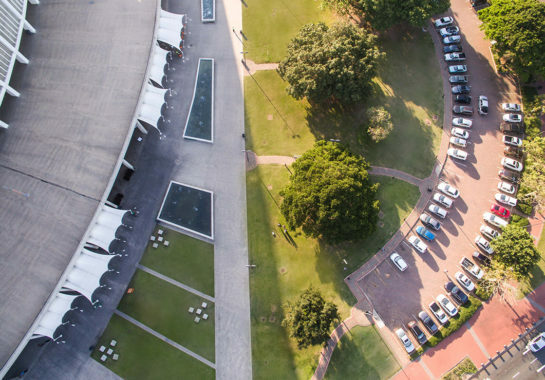 The Moses Mabhida Stadium Precinct and People’s Park are a testament to the ability of urban design to connect spaces and encourage engagement. 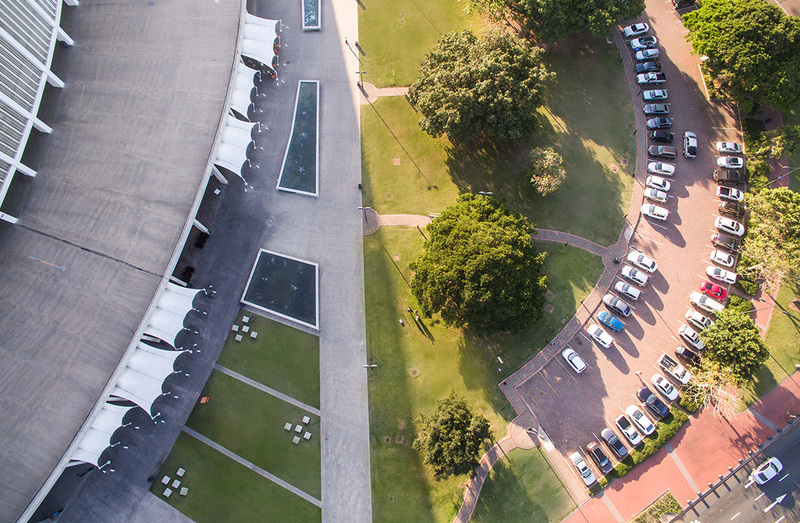 Designing the Moses Mabhida Stadium precinct presented an interesting challenge to the Iyer team. Not only does a built form like this have to meet the exacting needs of a large-scale event, but also the everyday life of a city. 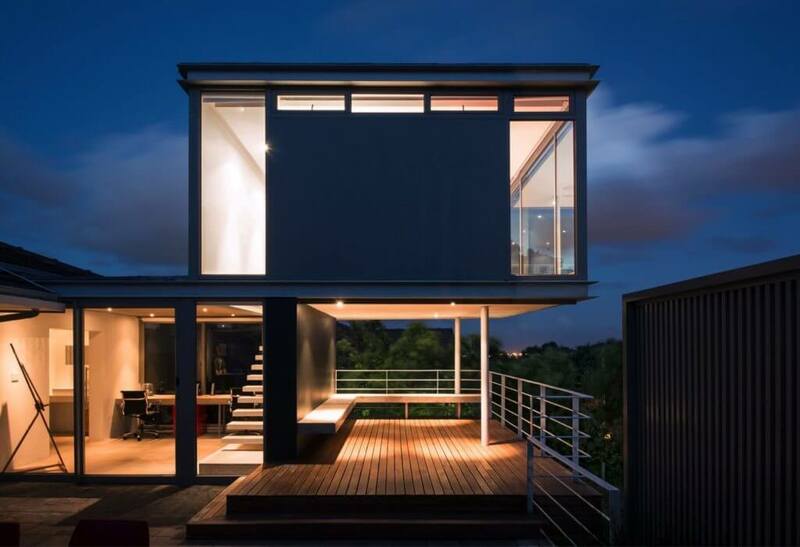 Additionally, iconic architecture by its nature sets itself apart from its surroundings. As a practice dedicated to people centred place-making, the team went beyond simply creating an isolated precinct for the stadium and People’s Park. Instead, the vision was to locate it in a carefully-crafted public space that encouraged engagement. 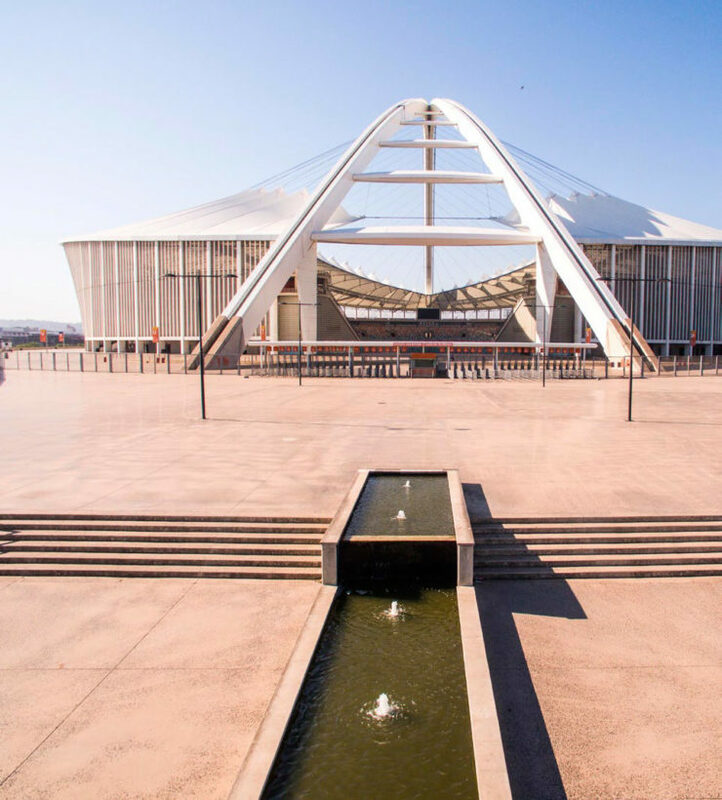 The design of the Moses Mabhida Stadium precinct and People’s Park was fundamentally driven by understanding how people engage in space and was inspired by the movement of the city. This meant the surrounding streets had to be comfortable for pedestrian use, and the public spaces had to be multifunctional and generous enough to encompass a range of events. Urban design in a space like this is about enabling the interaction of a diverse range of users who all share common values. 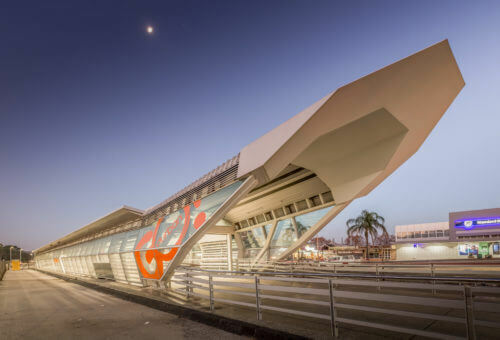 By responding to the needs of people and place, through considered design, Iyer ensured that the stadium precinct has become part of the experience of Durban as a whole. 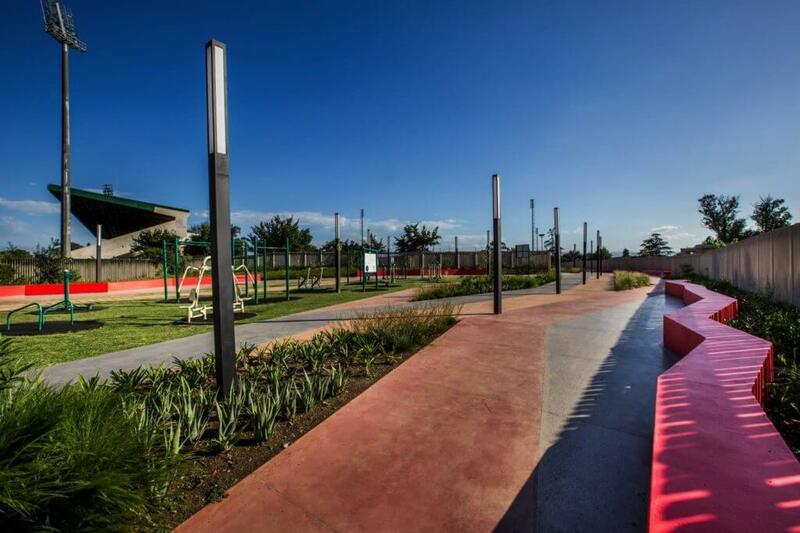 Iyer were the lead Urban Designers for the stadium as part of the Ibola Lethu Consortium and responsible for the design of the overall stadium precinct. This included the design of the various approaches and public spaces leading to the stadium. 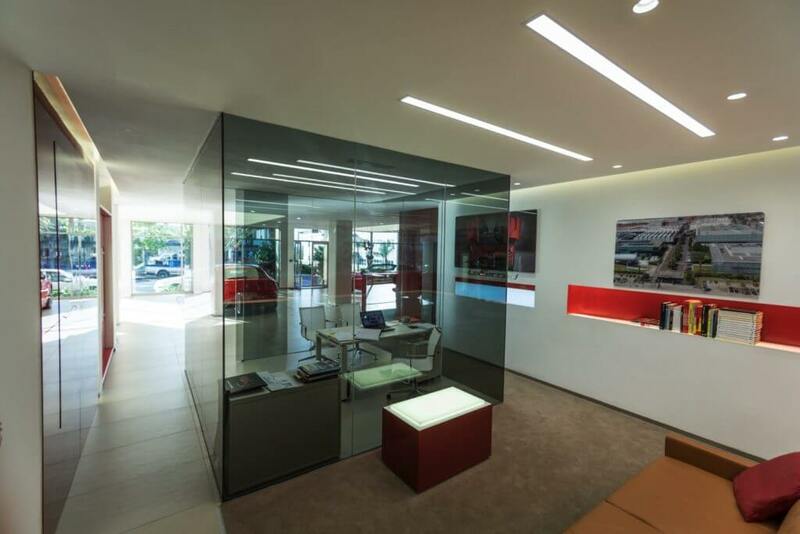 The project earned the firm the ILASA Presidents award for excellence in design for its involvement. 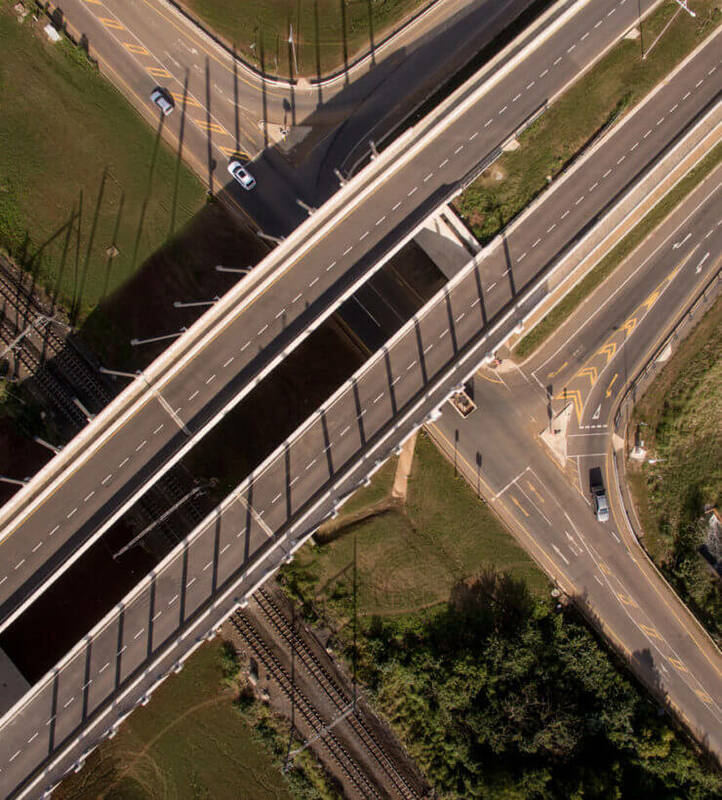 eThekwini’s Integrated Rapid Public Transport Network (IRPTN) – currently under construction – is a flexible, high performance system that combines physical, operational and systems elements. 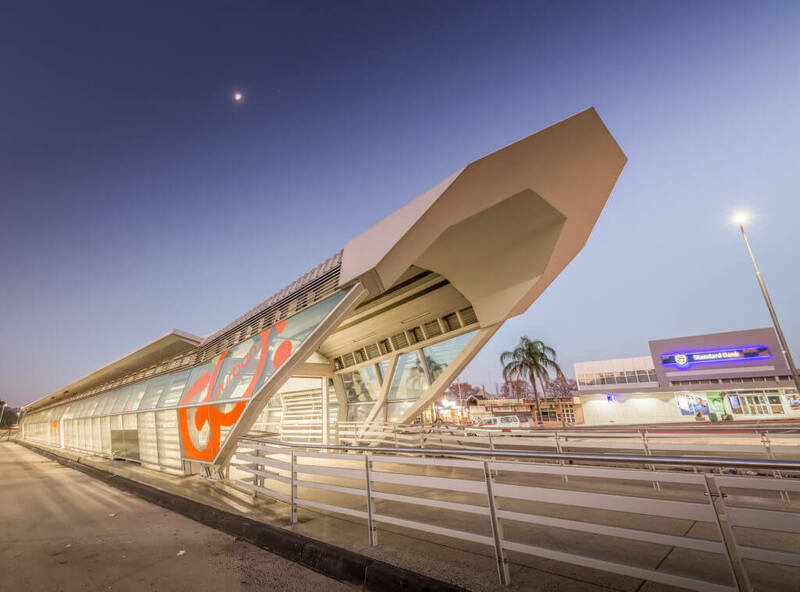 Iyer was appointed to undertake the Phase 1 preliminary design stage for the stations, station precincts and park and ride facilities. 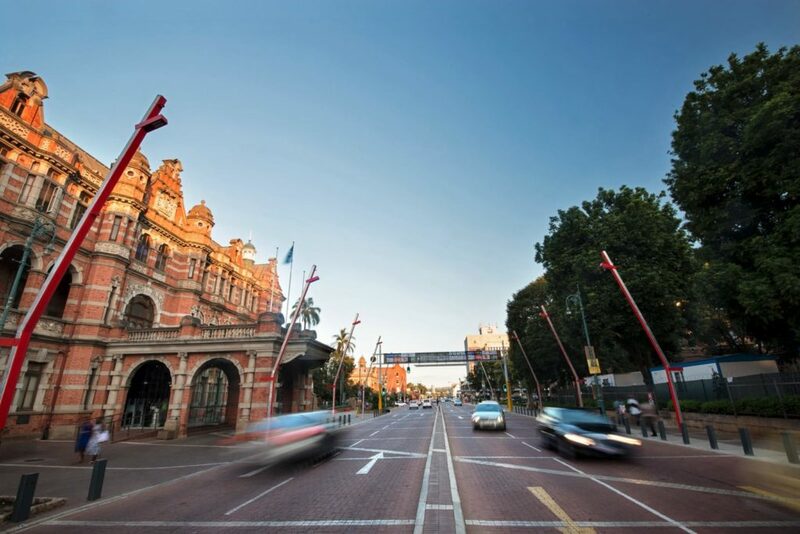 Understanding the potential of public transport to empower communities, these have been conceived of as focal points for revitalisation of surrounding communities and the catalyst for future sustainable development. 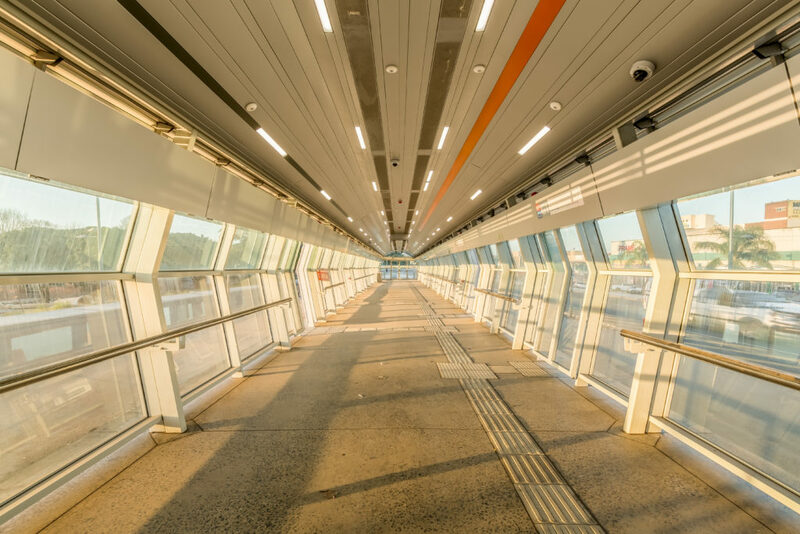 Iyer’s scope also included the infrastructure in the station precincts, such as improved lighting, signage, landscaping, street furniture and sidewalk and road finishes. This involved the inclusion of sustainable and universal access thinking in the concept for the facilities and environments. 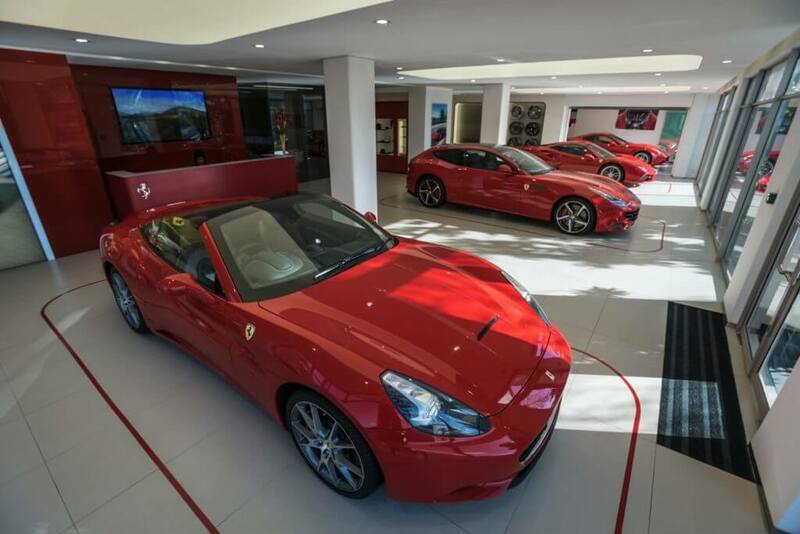 Iyer was appointed by Scuderia South Africa, the official Ferrari dealer in the country, to create a showroom for the brand in uMhlanga. 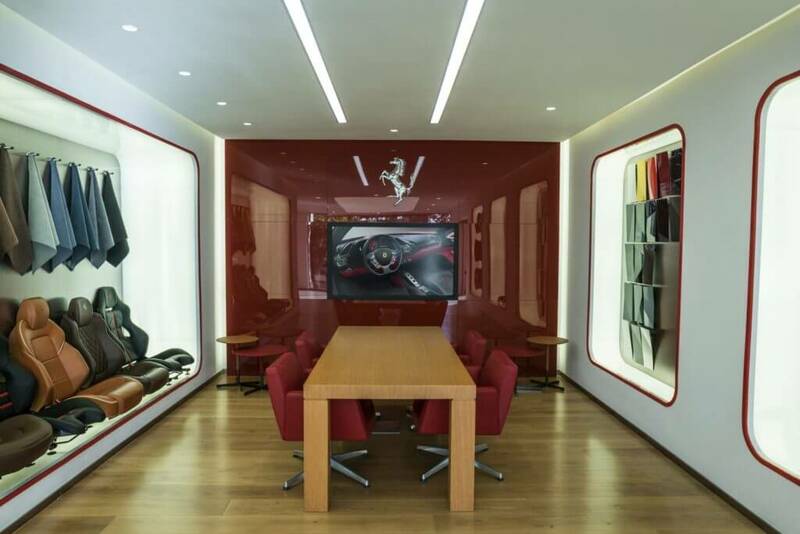 Taking Ferarri’s international identity as a starting point, the brief included the expansion of the existing showroom and the creation of interior layouts, including establishing a new delivery bay and workshop. This project was a significant one for the firm, with Iyer designing and managing the entire construction process, including liaising with Italian brand design architects. 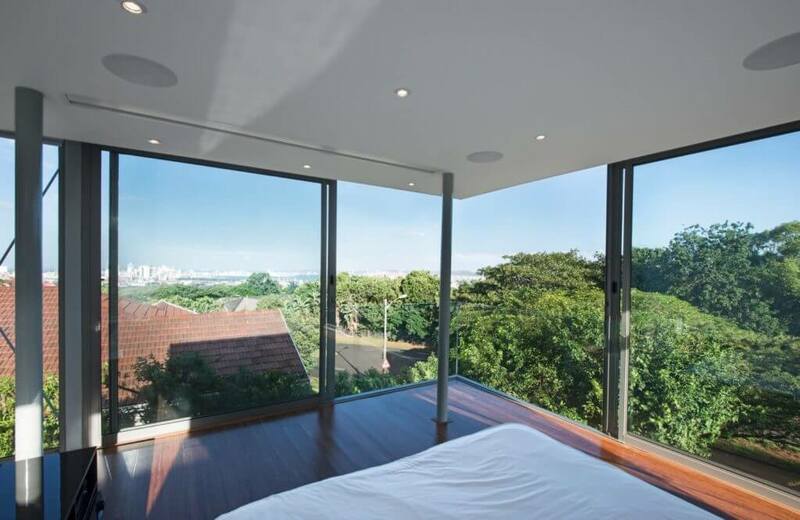 With Box in the Sky, Iyer undertook the design and construction management for a new extension to an existing residence in the form of a master bedroom, a new spa bathroom and office. 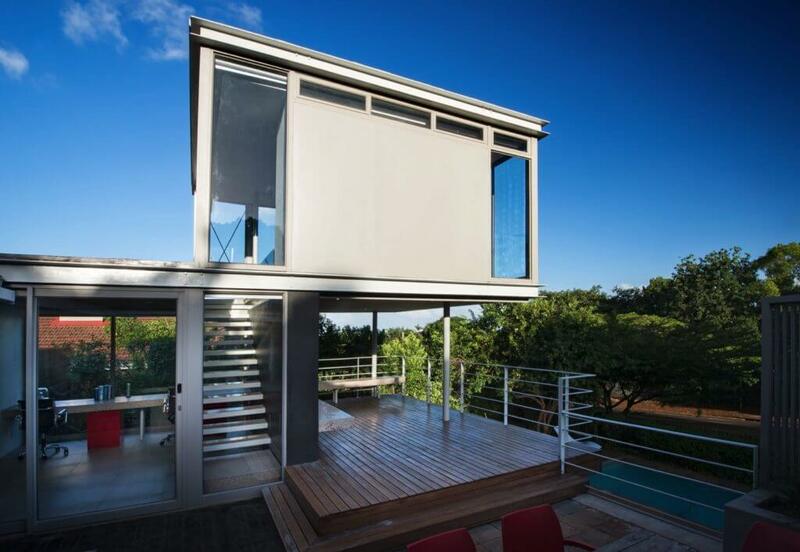 The final design conceived of the master bedroom space as the eponymous “Box in the Sky,” elevating the residents in their own private sanctuary space while remaining inherently connected to the rest of the house. 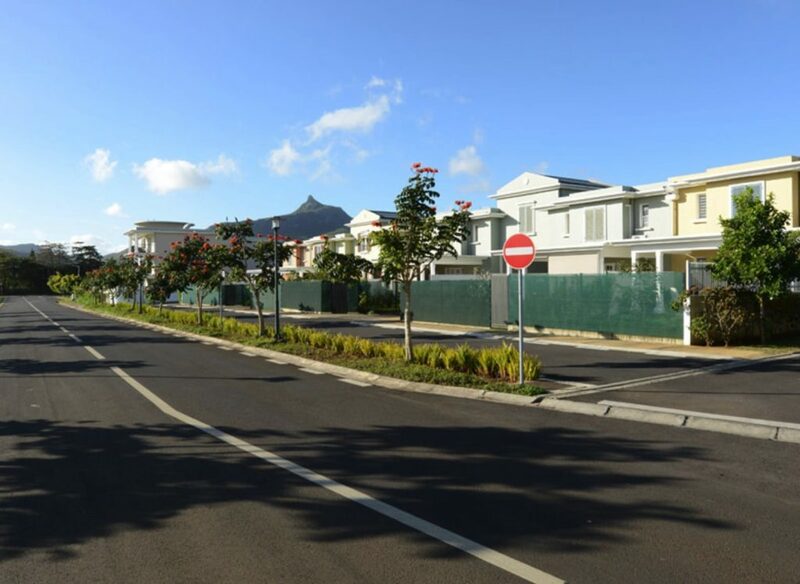 For this project, Iyer was tasked with conceptualising the Urban Design Framework for the development of a medium density residential precinct in the Moka district in Mauritius. 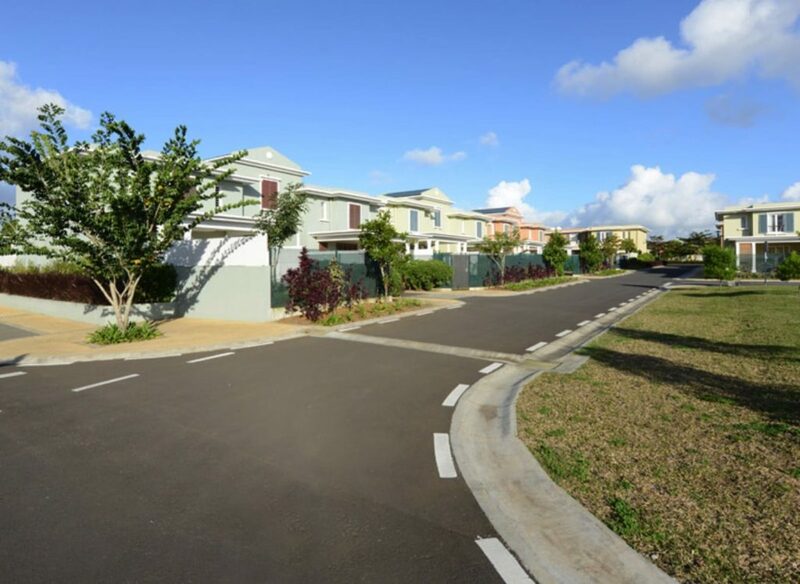 The project was being undertaken by ENL properties, a Mauritian based property Development Company and aimed to establish a residential community supported by an appropriate public space system in a pedestrian-oriented environment. To date some 200 units have been built and are occupied. 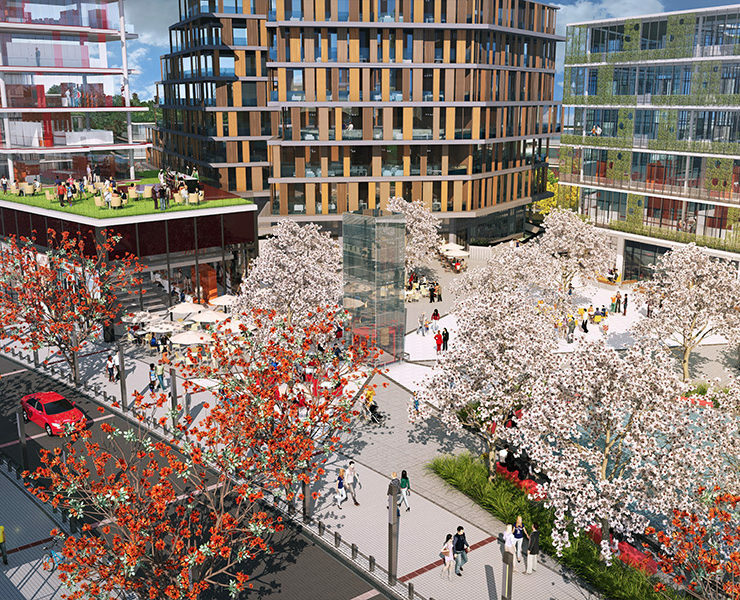 SASA Boulevard is the name of the street that traverses the Cornubia Mall and connects with the future Cornubia Town Centre. IYER was tasked with preparing the urban design for transforming the road into a street within the Mall, including hard landscaping. One of the interesting elements of the project is the urban sculpture. The sculpture is based on cut sugar cane stalks hence the angular tops and the slot of light runs vertically along the 3 sides of each column. There are 15 lights generated from the 5 columns. 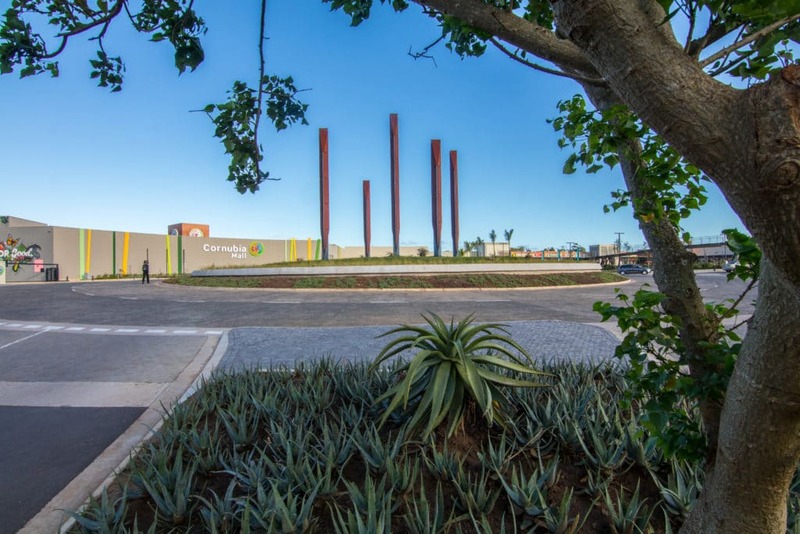 The columns are constructed of Corten steel, collectively to provide a landmark and bring some elevation to the relatively low-rise retail precinct. The over-scaled stalks of sugar cane are a reference to the key economic basis for the region’s heritage. 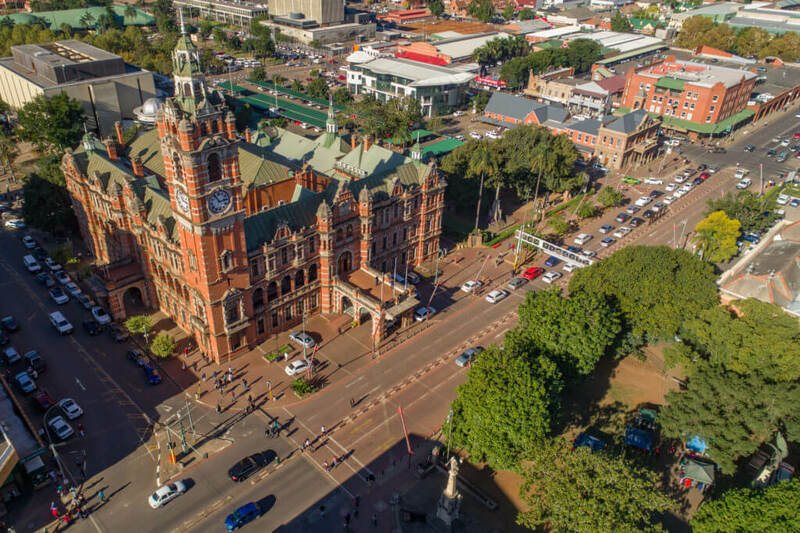 In this project, Iyer undertook the urban design for an urban renewal project targeting portions of Pietermaritzburg’s CBD. The aim was to improve the public space in the zone, enhancing the character and experience of this important city. 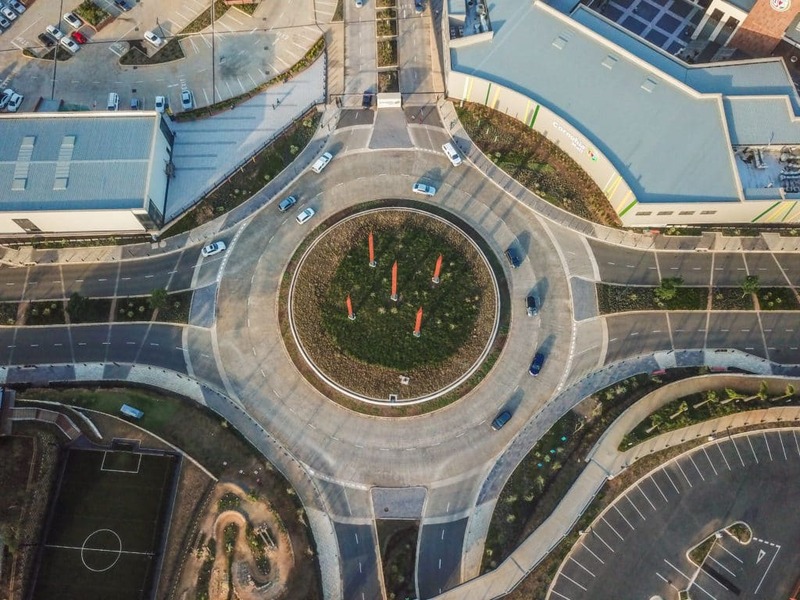 The firm’s role involved the conceptualisation, detail design and construction management of the Chief Albert Luthuli Street and Langalibalele Street within the Msunduzi Municipality. Primary aspects of the design included the creation of a multifunctional street space, a renewed context for the City Hall and the introduction of bespoke lighting, seating, bins and bollards all designed by the firm. 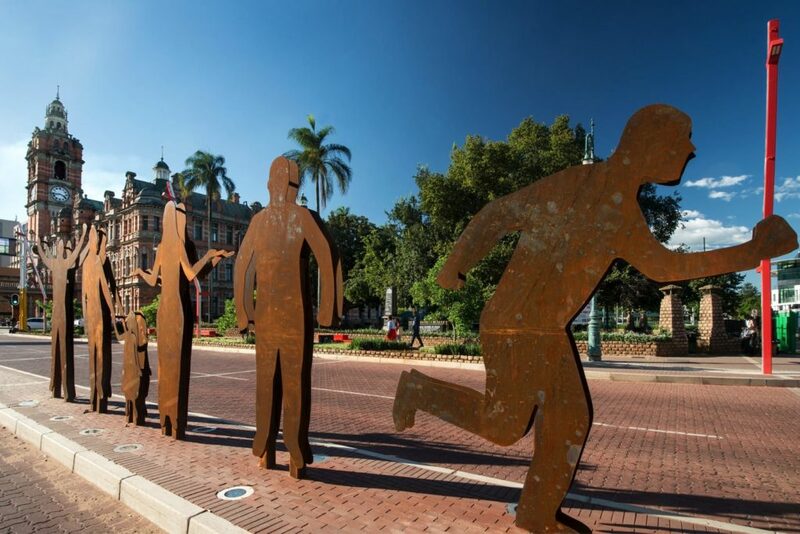 An iconic aspect of the finished project was the creation of a large-scale art installation in the form of five corten steel sculptures of figures that celebrate the transition and resilience of the city. 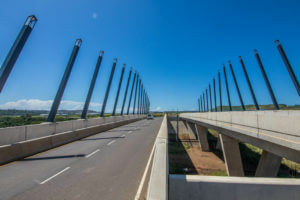 When it was completed, the KZN branch of the South African Planning Institute (SAPI) conferred an award of Excellence to the firm for its work. 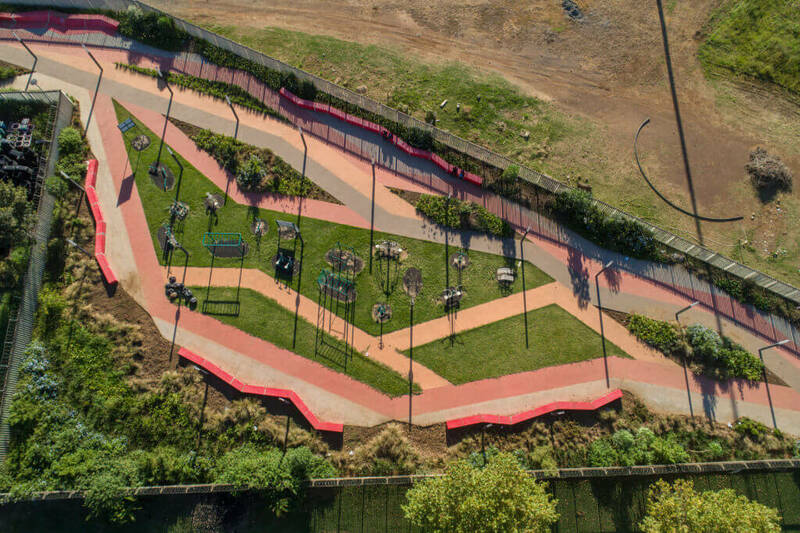 Alexandra Park is a significant public space for the city of Pietermaritzburg, and hosts a range of sporting and recreational activities. 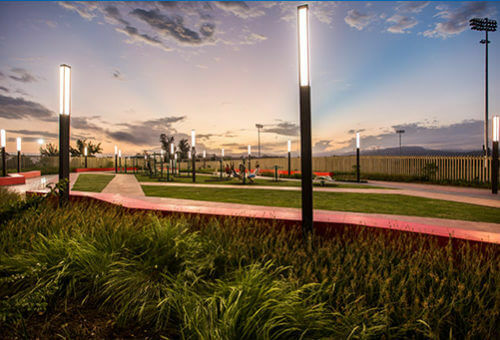 Iyer was appointed by the city to design an important link within the park, providing access to the historic Harry Qwala Stadium. 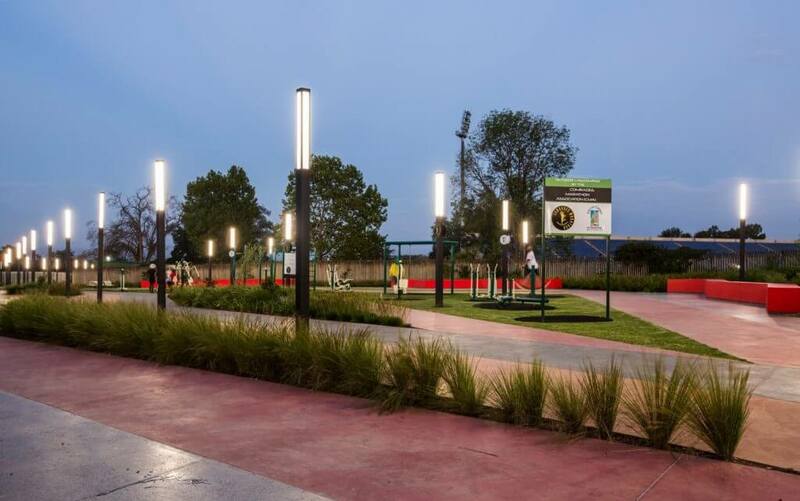 The firm saw this as an opportunity to create a new promenade based on organic and sculptural forms, incorporating seating, an outdoor gym, feature lighting and soft landscaping to extend the qualities of the park into the new space. An error has occured sending your request, please retry. We appreciate you contacting us, we will be in touch as soon as possible.